I enjoy NOLA, but I've never had any desire to be there during Mardi Gras. I'm sure I would if I was younger! Oh, how I love New Orleans! 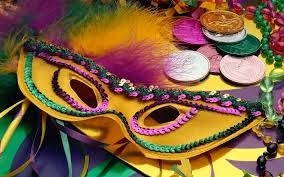 Laissez les Bon temps rouler! Sweet! I love large celebrations.